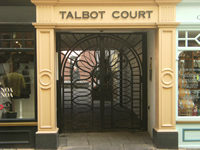 Hidden in a quiet courtyard off Low Petergate,one of York's most attractive streets, Talbot Court has a superb central location, with clear views of the Minster and the small medieval church of Holy Trinity, Goodramgate. York Minster (200 meters) - The largest gothic cathedral north of the Alps, with some of Europe's finest stained glass, the Minster is an unforgettable visit. Treasurer's House (200 meters) - Hidden behind the Minster, this elegant 16th/17th century house is full of lovely furniture, china, glass and pictures. National Railway Museum(0.5 mile) - A fantastic display of railway icons and memorabilia, the Railway Museum offers a full day's entertainment for enthusiasts and laymen alike. City Walls (250 meters) -The best way of uncovering the secret life of York is to take a walk around the medieval city walls and enjoy the views. Clifford's Tower (500 meters) - a prominant landmark in York, this 13th century motte and bailey offers one of the best views of the city. 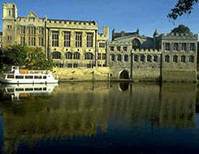 Castle Museum (500 meters) - recreations of Victorian and Edwardian York, housed in the old city jail, allow visitors to experience life in 19th/early 20th century York. 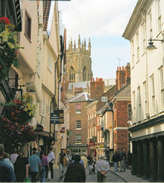 Low Petergate itself is a key shopping thoroughfare in York's excellent retail centre. Here you can buy everything, from pasties to wedding dresses, within a few feet of your front gate. 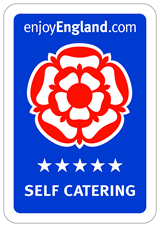 And of course, there are literally hundreds of places to eat in York, from traditional Yorkshire pubs to three star restaurants. York is arguably England's finest medieval city, which offers the visitor an endless wealth of atmosphere and historic architecture. Yet it is also a thriving contemporary centre for entertainment, leisure and shopping, offering plenty to keep any visitor entertained for a week or two. And that's without considering the options for day trips outside the city: Yorkshire's countryside is rich in outstanding areas of natural beauty, such as the North York Moors, the Howardian Hills or the Yorkshire Wolds. 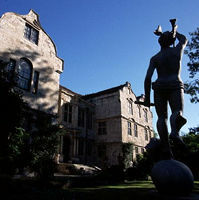 You can also visit the historic coastline at resorts like Scarborough or Whitby, and put aside a day to visit some of England's finest country houses, such as Castle Howard, Beningborough Hall or the Jacobean Burton Agnes with its lovely gardens.